You’re a nurse and love what you do, but you have a nagging feeling it’s time for you to move in a different direction. How do you know for sure it’s time to do so? Like most nurses you were draw to the profession for a variety of reasons. Maybe it was the schedule, interest in helping others or even the money. You trotted along in your career satisfied by whatever drew you in the first place. But slowly, bit-by-bit, you became disenchanted. You can’t put your finger on it, but deep down you know you most move on. Some nurses wake up and have a “ah ha” moment that alerts them of the time. For others, it’s more complicated. Typically there are signs you simply can’t ignore when debating when to move on. A sense of dread, anxiety, or unease. When thinking about work brings about negative feelings, it may be time to switch jobs. People spend a significant amount of their lives at work and if your job brings you discomfort, why put yourself through it when you can make a change? You haven’t received a raise in awhile. Money isn’t everything until you don’t have enough. If you feel like you are not getting a fair wage and haven’t had a bump in pay through additional benefits, bonuses, cost of living raises, etc, after a good amount of time then you may want to consider moving to a different company who values your expertise through compensation. You don’t feel like you are growing as a nurse. Personal and professional growth is important to most people. Some positions in nursing don’t lend themselves to growth on behalf of the nurse. If you strive to be the best nurse you can be but your working environment doesn’t encourage it by way of promotion, educational classes or positive constructive criticism, then it may be time to move on. You work in a hostile environment. We all know what a hostile work environment is like; constant bullying by co-workers, doctors or sometimes even management. Unsupportive management when issues do come up. Working in a hostile environment can really wear on you and, in the end, it’s not worth your sanity to work in such conditions. You want to make a major career change. A major career change could be going back to school for another degree, switching specialties, or even branching out on your own to start your own business! If something major is nagging you to make a move then staying stagnant in the same position is going to cause too much internal turmoil. If you have a goal you want to reach make steps in your life to do so. In addition to working as a FNP, Nachole Johnson is a freelance copywriter and an author with her first book, You’re a Nurse and Want to Start Your Own Business? The Complete Guide, available on Amazon. Visit her ReNursing blog at www.renursing.com for more ideas on how to reinvent your career. Thanksgiving is over; Christmas will soon be upon us and then New Year’s festivities. Fall and winter holidays are celebrated with food…and lots of it. The typical person gains on average 1-2 pounds per holiday season. Working as a nurse during this season makes it even worse with all the sweets lying around the workplace. How do you keep it all in check and avoid the extra poundage this year? Learn to say no. Say no to the constant smorgasbord of holiday goodies on every shift. Sure the major eating holidays only come around once a year, but that doesn’t mean you have to eat continuously from Halloween to New Year’s. Turn down that cookie every once in awhile. You will survive if you let the gingerbread man stay put with all his gingerbread man buddies. Take a brisk walk. Instead of hanging out at the nurse’s station (where all the goodies usually are) walk the halls when you get a chance. This way you’ll burn calories instead of accumulating them and be available to co-workers when they need help. Remember your regular exercise routine. Some people let their workout routine go when the weather is chilly and this in itself can contribute to weight gain. Make it a point to stay on your routine as much as possible during the season. Drink up! Water that is! Drink 6-8 glasses of water a day to keep the munchies away. Staying hydrated keeps you from thinking you’re hungry when you are actually thirsty. Decrease stress. Many focus on family and friends during the holiday season, but sometimes focusing too much on others can stress you out. Remember to take care of yourself during this season by doing what you enjoy; read a book, take a bubble bath get a massage… you get the picture. Does Daylight Savings Have You Feeling Down? The holidays are soon approaching and the days are getting shorter, meaning less daylight during waking hours. Holidays bring a variety of emotions out of people ranging from their favorite time of the year to the most depressing time of the year. If you fall in the latter category, there may be more to it then just the routine hustle and bustle of the season getting you down. Seasonal Affective Disorder (S.A.D.) is a type of recurrent depression that waxes and wanes with the seasons of the year. Winter is the most common season symptoms appear, while a small minority of people report increased depression during the spring and summer months. S.A.D. has some distinguishing features that differentiate it from generalized depression. Depression that begins as early as late fall and lifts in the spring is most likely caused by SAD. People usually feel more depressed because of the lack of sunlight during this time. According to the National Alliance of Mental Health (NAMH), scientists have found that the neurotransmitter serotonin does not work optimally in patients with S.A.D. S.A.D. is found to be more common among women, although men may have more severe symptoms. Incidences of S.A.D. typically with decrease with age in both sexes. Just like general depression, people with a family history of S.A.D. or a previous diagnosis of depression or bipolar disorder are more at risk. In addition, living further from the equator seems to have a connection with the disorder. Winter characteristics of recurrent S.A.D. include daytime fatigue, oversleeping, carbohydrate cravings and weight gain in addition to typical depression symptoms. Summer characteristics are typically the opposite of winter with insomnia, decreased appetite, weight loss and agitation or anxiety as the mainstay symptoms. Treatment of S.A.D. is no different that any other type of depression with the exception of light therapy for those affected by the winter variation. Anti-depressants, psychotherapy and light therapy are all potential treatments for the disorder. Some studies have noted that treatment of S.A.D. with light therapy is as effective and works quicker than antidepressants in some individuals. Light therapy is usually sitting near a special lamp for a minimum of 30 minutes each day shortly after waking. Light boxes can be purchased over the counter, but before purchasing one speak to your physician about your symptoms and which treatment option may work best for you. With the national push for more BSN prepared RN’s, many nurses are considering completing a RN to BSN program. For the experienced RN these programs can be pretty straight forward, completed online or on campus and in as little as 12-18 months. 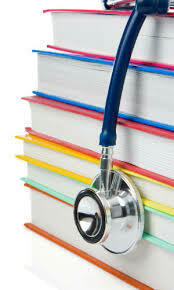 Completing a BSN program is major decision that needs careful planning. Make sure the school is regionally and nationally accredited by proper authorities in your state. The last thing you want to do is complete a degree and not have it recognized by your state’s nursing board. Accreditation is also important if you want to continue your education towards a master’s or doctoral degree in the future. Take a close look at the course requirements to see if you are ready for the commitment and rigors of being a student again. Look at the course formats and make sure they suit your learning style. Courses can be delivered in a variety of ways: online, face-to-face, or hybrid. Inquire about day, evening and weekend classes that would work with your schedule. Whatever you choose, remember that going back to school will affect your lifestyle. Last, but not least, inquire about the costs of the program and incorporate school expenses; tuition, books, supplies, ect into your budget. No doubt about it, nursing is an extremely demanding profession. Not only is it mentally demanding, but physically demanding as well. After a stressful 12 hour shift working out is the last thing a nurse may want to do because their body aches from a hard days’ work. Keeping healthy by working out is something all nurses know to do, but just don’t, either because of the long hours or the feeling of being hit by a Mack truck after their shift. No impact: This is a no-brainer when it comes to working out. As a nurse your body probably takes a pounding during an average shift. Your workouts shouldn’t cause more damage to your body than an average workday. Pilates uses your own body weight as resistance for the workouts so you don’t have to worry about any jarring movements causing damage to your body. Increased flexibility: Pilates incorporates many stretches that, over time, will increase your flexibility. Flexibility is important since nurses typically do lots of bending and stooping during their shift. Strengthen core/improve posture: When you strengthen your core, your back is automatically stronger as well. Having a strong core and back helps nurses when you have a job that involves a lot of lifting and physically assisting patients. In addition, an improved posture gives makes you stand taller and gives an illusion of weight loss. Tone: Although Pilates is a no impact workout it does allow for full body toning. Pilates makes one more aware of their body in general and the muscles used to carry out movements during a workout. Most all exercises in Pilates involve very slow and controlled movements meaning that you must also contract your core at all times. Small, slow, controlled movements can help tone your body in ways you would have never imagined. Lose weight: In addition to all of the other awesome benefits you reap from Pilates, you can lose weight! Depending on which type of Pilates workout you do, you have the potential to burn massive calories. Pilates can be divided up in two basic types: ground work and machine (or Reformer) work. The workouts carried out on Reformers use pulley’s and springs to add more resistance to the already challenging workouts increasing the calorie burn factor.